The dress arrived so quickly and it is perfect! I purchased the dress as a bridesmaid dress for wedding. The dress color is rich and the fabric quality is high. The seams are strong and straight. This dress is so flattering and makes me feel confident which is rare for me in a dress. Trust me! This is a great purchase! One I can't wait to make again! I'll be ordering in a few colors and lengths. Very high quality, and arrived quite swiftly. The dress was very long so it could be hemmed to fit the wearer? ?it's a kind of fabric that does not require actual hemming to keep it from fraying, so I was able to cut it myself. It was challenging to cut in a straight line, as it is a very stretchy fabric, but it turned out quite well. The fabric is so heavy and luxurious, I felt very elegant walking as it silently swished and caressed my legs! So pleased with the quality of this dress. Exceeded my expectations. I bought one so I was able to try it out first before my bridesmaids ordered it. It's really nice for the price. It falls beautifully and looks more expensive than it is. 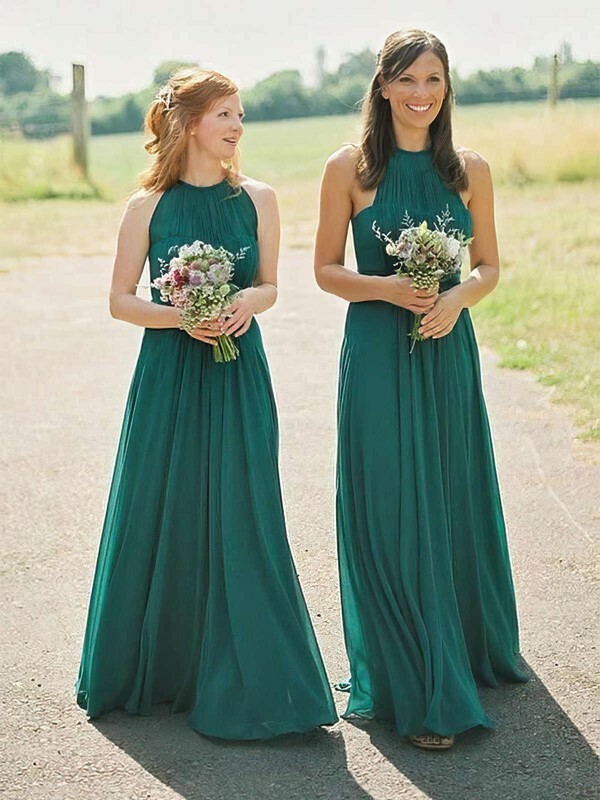 If you're a bride thinking about this for your bridesmaids it's a great choice. If I were having an informal wedding I would use as a wedding dress. Perfect and the seller has fast shipping. I was happy to find a plus size option for my bridal party. This allowed all of my girls to get the same color dress but have the different style options to suit what they were comfortable with. Absolutely love these and would recommend these for any wedding. Loved these so much I ordered 2 for myself and can't wait for them to arrive! Bought this to wear to an upcoming wedding. Tried on the dress and love it! It has a lot of weight to it and so the whole thing tends to want to slip down a bit, which limits the ways you can style the top. But still very functional and very beautiful. Also the dress is cut very long so expect to have to trim that. Very pleased with the quality of this dress and will be ordering again in another color when I need a maternity dress. Great dresses, well made and awesome service from MillyBridal. The dresses are beautiful the quality is excellent. I'm very please with you guys and all my friends know about you and fantastic dresses. I recommended you with my eyes close to all of my friends. Thank you for giving us fabulous choices at affordable prices!!! I'm very happy with the dress it is exactly as I wanted, it was perfect for my occasion. Good quality and good finishing thanks a lot. I was very pleased with it and glad I ordered it! I love this dress! I couldn't believe it! It is perfect! So beautiful! I'm very happy! The dress fit me like a glove. It is very beautiful and very good quality. I was surprised with the quality. Its very good.